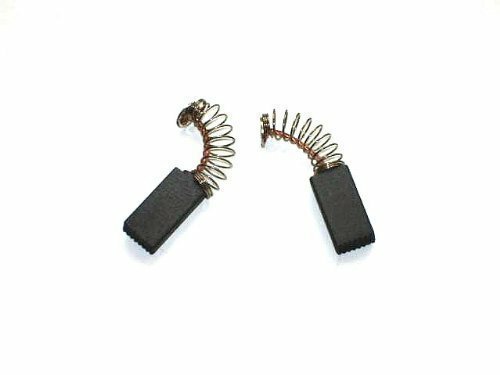 Replacement Carbon Brushes, Made By First4Spares, For Bosch Power Tools. Dimensions: 5 x 8 x 15.5mm. Fits Models: Drills CSB 5-13RE, CSB 450RLE, CSB 470RLE, CSB 480RE, CSB 500-2, CSB 500-E, CSB 500RE, CSB 500RET, CSB 500SRE, CSB 500RLE, CSB 550E, CSB 550RE, CSB 550RET, CSB 550RP, CSB 550SRE, CSB 550-2, CSB 570RE, CSB 570RP, CSB 6-20RE, CSB 620 IP, CSB 650-2, CSB 650-2RE, CSB 650-2RET, CSB 650-2RLE, CSB 650-2RP, CSB 660-2, CSB 680-2RE, CSB 700-2RE, CSB 700-2RLT, CSB 750-2E, CSB 800-2E, CSB 800-2RE, CSB 800-2RLE, CSB 850-2RCE, CSB 850-2RET, CSB 850-2RLT, CSB 1000-2RET, GSB 2-600RE, GSB 2-650RE, GSB 13-2, GSB 16, GSB 16-2, GSB 16-2, GSB 16RE, GSB 18, GSB 18RE, GSB 18-2E, GSB 20-2, GSB 20-2E, GSB 20-2RE, GSB 20-2RCE, GSB 20-2REM, GSB 20-2RET, GSB 450RE, GSB 2000, GBM 6E – 240v, GBM 6REX, GBM 6X, GBM 10-240v, GBM 10E-110v, GBM 10KPE, GBM 10RE, GBM 10SRE, GBM 10-2, GBM 10-2RE, GBH 13HRE, GBM 13-2, GBM 13-2RE, GBM 13-HRE, GBM 350RE – 240v, GBM 400, GBM 400RE, GBM 400-2, GBM 500, GBM 500RE, GBM 500-2, PSB 13R, PSB 350, PSB 380, PSB 380RE, PSB 400, PSB 400RE, PSB 400RET, PSB 400-2, PSB 420RE, PSB 420 2RE, PSB 420RET, PSB 450R, PSB 500, PSB 500R, PSB 500-2, PSB 550-RE, PSB 680-2, PSB 680-2RE, PSB 680-2RPE, GMB 10-2, GWB 10, GWB 10RE – 110v.